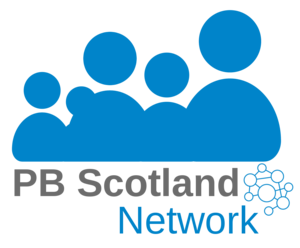 The PB Scotland Network is about bringing people together across the country to share enthusiasm & learning around participatory budgeting in Scotland. We run learning events, provide information and offer opportunities to get involved in how PB is progressing in Scotland. Join below, tell us what you want from the Network and what you can contribute. It's free and open to everyone. Join members from across Scotland and beyond. Read more stats here. What do you want from a PB Scotland Network? What can you contribute to the PB Scotland Network? I'm happy for my information to be used to send me information about PB Scotland. Having trouble with the form? Contact info@pbscotland.scot with your information.